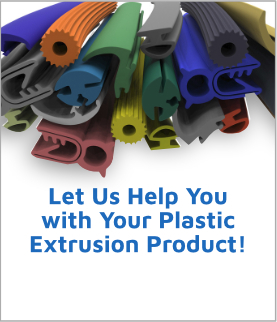 Colored Custom Extrusions | Clear Plastic Tubing | Crafted Plastics Inc.
For over two decades, Crafted Plastics Inc. has manufactured quality custom plastic extrusions for a wide range of customers and industries. Crafted Plastics Inc. produces custom extrusions with a focus on value to our customer, concentrating on delivering a quality extruded plastic product, manufactured on schedule, at a reasonable price, and delivered on time to the client. Working with the customer's engineering specifications; Crafted Plastics Inc. has the in-house tooling design and production resources to meet the client's parameters. Specifically, the tooling for extruded profiles is designed in-house by skilled engineers using the most current CAD/CAM software programs. In addition, Crafted Plastics Inc. produces quality vacuum-sized, air-cooled and water cooled custom plastic extrusions to meet customer requirements. Crafted Plastics Inc. can manufacture practically any extruded plastic in an almost limitless range of custom and standard colors (with the exception of fluorescent colors). 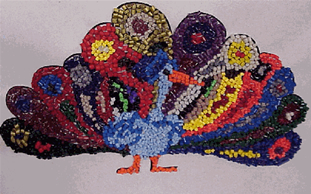 In other words, Crafted Plastics Inc. color capabilities are unlimited, the only limitation being the color spectrum. As mentioned above, Crafted Plastics Inc. is capable of custom colors that are matched to customer's specific needs and requirements. Furthermore, Crafted Plastics Inc. is experienced in color matching plastic materials, including rigid PVC (polyvinyl chloride), polyurethane, ABS (acrylonitrile butadiene styrene), acrylic, styrene (high impact polystyrene), polycarbonate, polyethylene, PETG (polyethylene terephthalate glycol), polypropylene, flexible PVC, butyrate and thermoplastic elastomer. Some of the industries that Crafted Plastics Inc. has manufactured colored custom extrusions for are in the construction, medical, point-of-purchase, refrigeration, commercial trucking, and water purification industries, to name a few. Crafted Plastics Inc. has produced a broad range of colored extruded plastic components, including handles, channels, tracks, mullions, fuel lines, bumpers and cover moldings. 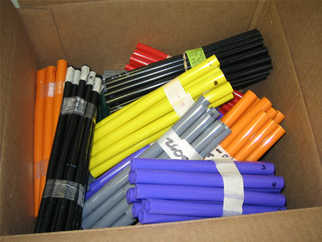 Other colored extruded plastic products manufactured by Crafted Plastics are rails, rigid and flexible PVC tubing and clear plastic tubing, sleeves, rollers, rods, spacers, straps, gaskets, door and drawer pulls, glides, and more. Crafted Plastic Inc.'s custom plastic extrusion color capabilities are about as limitless as the customers' requirements and imagination!